Order cake online in Lucknow or send flowers to Lucknow from Wish A Cupcake and get free home delivery to Lucknow. Looking for a delicious cake in Lucknow, or want to send flowers to Lucknow? Wish A Cupcake offers premium quality cakes and flowers delivered to your doorstep. Order a freshly baked cake or flowers for delivery across Lucknow. Our bakery products now come in eggless cake options. Our home delivery services make it easier than ever for you to order a cake online, or buy flowers online. 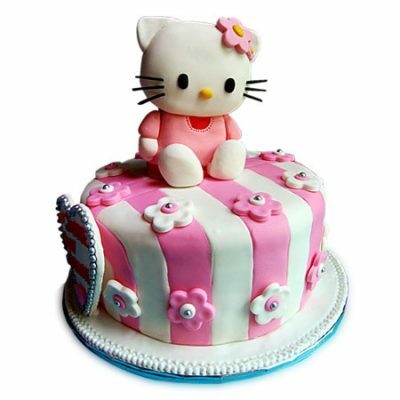 Wish A Cupcake offers one of the best and top quality cakes in Lucknow and flowers in Lucknow. Our attention is towards excellence and freshness of cakes and flowers. Daily discounts are available on our collection of cakes and flowers meant for all occasions and events. You’ll be able to purchase your cake online for delivery in Lucknow, and also send flowers online in Lucknow. Place your order now for delivery anywhere in Lucknow! Same day cake delivery. Send cakes to Lucknow. Buy and send a cake to Lucknow with Wish A Cupcake. We offer free home delivery of cakes in Lucknow. Feel free to order a birthday cake, wedding cake, corporate cake, anniversary cake, cake for parties and special events. Our online cake delivery services ensure same day and midnight cake delivery in Lucknow. Buy and send flowers to Lucknow with Wish A Cupcake. We offer free home delivery of flowers in Lucknow. Feel free to order flowers for birthdays, flowers for weddings, corporate flowers, flowers for anniversary, flowers for parties and special events. Our online flower delivery services ensure same day and midnight flower delivery in Lucknow. Lucknow is a multicultural city which is popularly known for its, beautiful gardens, poetry, music, and fine cuisines. The state celebrates festivals and dedicated event with much joy and enthusiasm. Any occasions can be made special with appetizing cakes and for all ordinary moments, we are offering an extensive range of cakes that will surely make your day more special. Wish A Cupcake has a variety of cakes in assorted flavors such as chocolate truffle cake, butterscotch cake, pineapple cake, fruit cake, black forest cake and vanilla cake. The cakes are baked by skilled bakers which is why we assure the exquisite look and lip-smacking flavors to you. Send cakes to Lucknow or any other destination of your choice with our express delivery option. In modern times, everything is just a click away and so customers can easily buy cake online from Wish A Cupcake. Sharing happiness by sending gifts to close ones strengthens your bond with friends and family. Sometimes cause of loads of work we skip the idea of going to the market and buy gifts. So, we look for easiest and convenient way out to this problem. You will be glad to know that our online portal is most lenient and helpful support centre that is available around the clock to solve all your order related queries. done at your doorstep. You can get special cake delivery in Lucknow or any other city of your choice just by following simple steps for online cake delivery. For all sort of assistance, please connect with our customer care representatives. You can always write to us in the suggestion box. We at Wish A Cupcake makes cake delivery to Lucknow possible by catering to the desired location in Lucknow.